The only way we could find the $899 option was by jumping through a hoop. 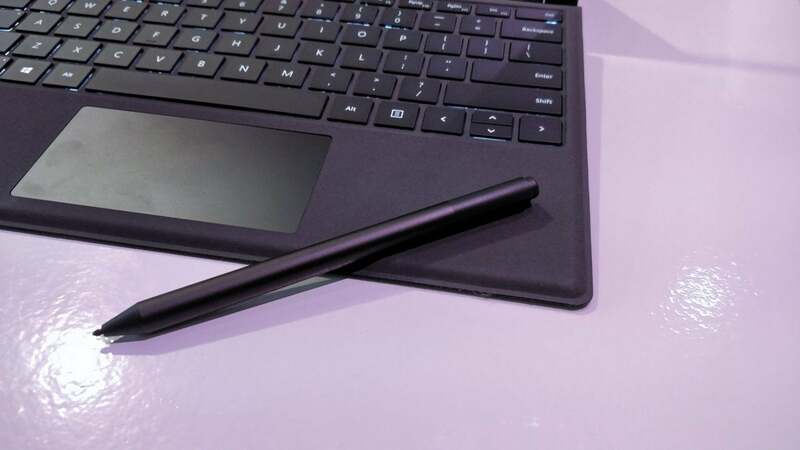 The new Surface Pro 6 looks a lot like its predecessor, but Microsoft made a few changes under the hood. And it's black. If you were hoping for a dramatic change with the new Microsoft Surface Pro 6, you’ll be disappointed—unless you love black. If you’re at all familiar with the Surface Pro series of tablets, the Surface Pro 6 will hold no mysteries—physically, at least. 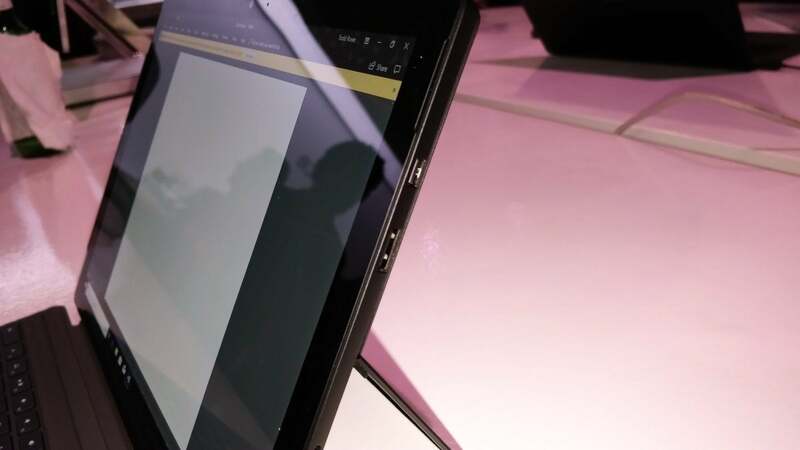 It measures the same across all three dimensions, weighs just about the same, reclines to about the same angle, and its display retains the same resolution as the Surface Pro (2017). Yes, the keys felt a tad springier than those on the Surface Pro (2017) I brought along for comparison, but I’ll chalk that up to the prolonged period of time I’ve used the older Surface tablet. Hiding behind the kickstand, as with all Surface tablets, is the microSD card slot. One spec—operating system—should give you pause, because it signals an odd new way Microsoft is going to sell the Surface Pro. But first let’s talk about how it feels to use it. Unfortunatelly, that’s a MicroDisplay connector, not a USB-C connector. As with the Surface Pro (2017), you can recline the tablet nearly flat, so that it doubles as an easel for the Surface Dial. Power and volume rockers sit on top. Don’t worry too much about the lack of USB-C ports. If you’ve owned a Surface before, you may have invested in Surface hardware like the Surface Dock; otherwise, Microsoft has a Surface to USB-C adapter to sell you. 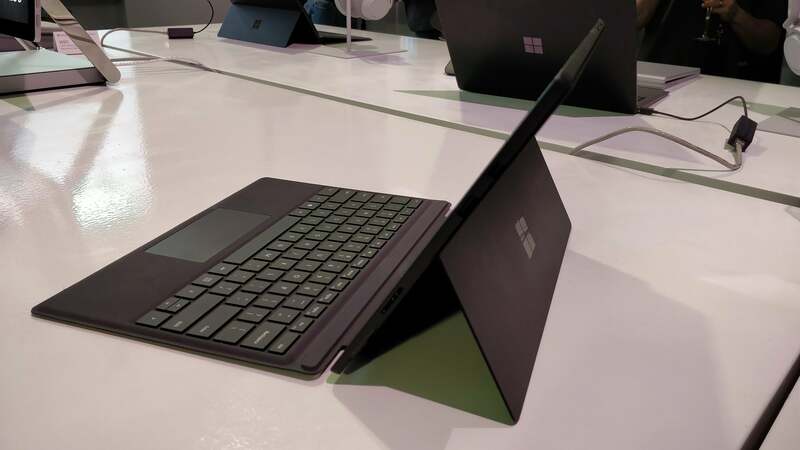 The Microsoft Surface Pro 6 uses the same Signature Type Cover as the previous Surface Pro. We haven’t had a chance to really put the Surface Pro 6 through its paces, but Microsoft’s promising something on the order of 60-percent or so improvement because of the addition of the 8th-generation Core chips. Frustratingly, Microsoft isn’t listing the actual chip (or speed) on its product page as of this writing, so we had to go hunt down a machine. One was running the Core i5-8250U at the event, a Kaby Lake-R processor. That lack of specificity is both ridiculous and frustrating. A Surface Pen is available, with 4,096 levels of pressure. In any event, though, the Surface Pro 6 felt fast and responsive under my fingers. Here’s where it gets complicated. When you want to buy a Surface Pro 6, you’ll have to choose between two different ones. Oh, you didn’t know there was a Surface Pro 6 and a Surface Pro 6 for Business? Neither did we, until we went hunting for the preorder page. And did we mention there are different prices for the same product? Meet the Microsoft Surface Pro 6 for Business. Meet the Microsoft Surface Pro 6 (for consumers). They’re nearly identical, except where it counts: the price. The Surface Pro 6 for Business ships with Windows 10 Pro, while the Surface Pro 6 (for consumers) ships with Windows 10 Home. The SP6 for Business also costs $100 more, and includes a “commercial-specific processor” for certain versions, namely those that ship with a Core i5. It also ships with Microsoft Advanced Exchange. 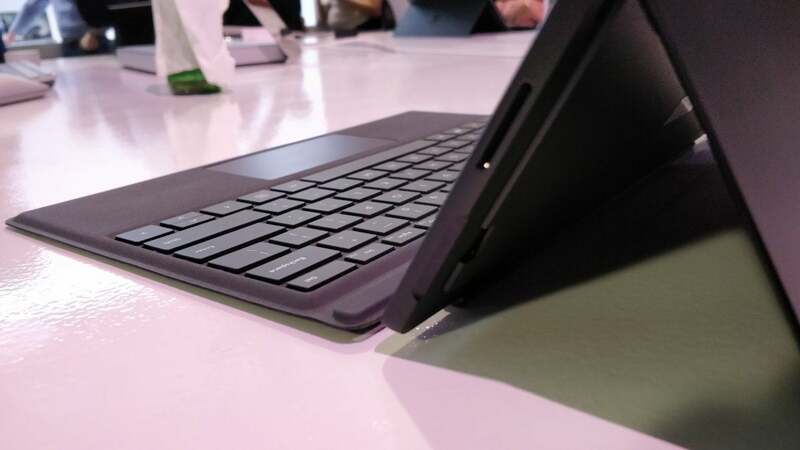 The Microsoft Surface Pro 6 reclines to almost flat, though this is the most comfortable angle. 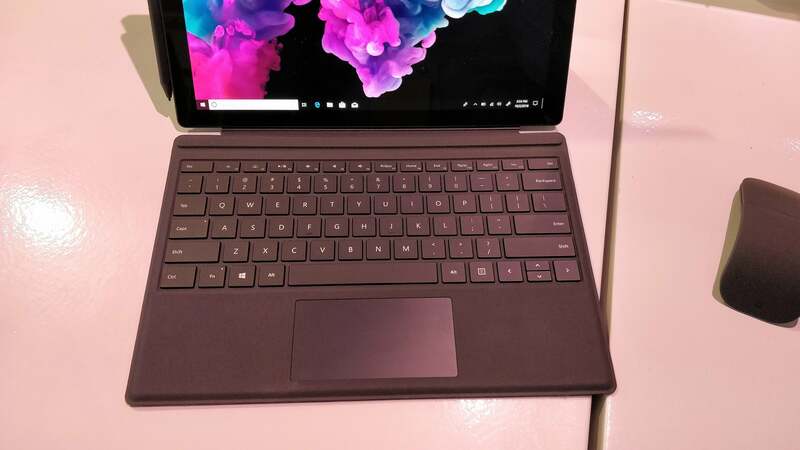 But that doesn’t preclude the fact that according to our calculations, the cheapest Surface Pro 6 we could configure costs $1,199/$1,299 for a Core i5/8GB RAM/256GB SSD, not the $899 that Microsoft reported. That may be an error, but no $899 option was available on either page. It gets weirder. Microsoft also offers a Microsoft Surface Pro 6 Essentials bundleRemove non-product link, where we did find the $899 Core i5/8GB/128GB option, but only bundled with a Type Cover and an Office 365 subscription for a higher total price. Whew. Here’s the bottom line: The Surface Pro 6 differs from its predecessor because of what’s inside, and the new optional black exterior outside. The rest is just red tape. If you’re a Surface Pro fan, Microsoft just made your tablet better.